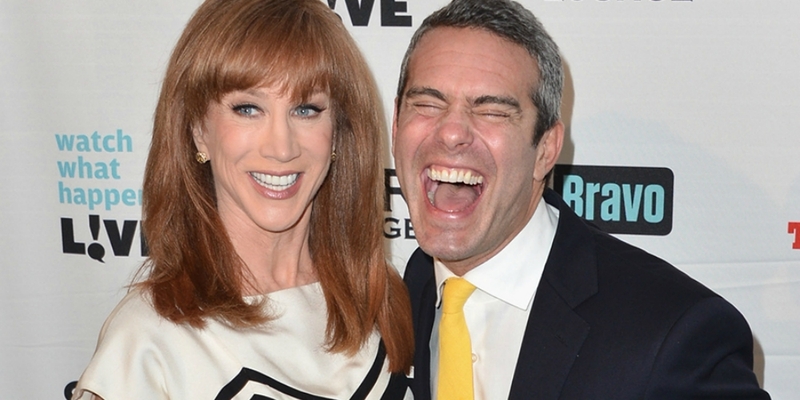 Andy Cohen just pulled a Mariah Carey when asked about his former co-worker Kathy Griffin. Cohen got stopped by paps on the way out of an airport, and they were curious about his plans for co-hosting with bestie Anderson Cooper during this year’s New Year’s Eve broadcast. The gig used to belong to Griffin, until that misstep she took when she shared a photo of herself holding a fake severed head of Donald Trump. Cooper spoke out against her, and CNN cut her from their NYE broadcast. Well, Cohen was asked about it all and he played super dumb for an awkward minute or two that was caught on camera. After saying they had a lot of planning to do because the telecast is so long, the pap asked him if he has spoken to Griffin since the announcement was made that Cohen would be taking her spot. The pap keeps trying to remind Cohen who she is. Obviously Cohen is familiar. 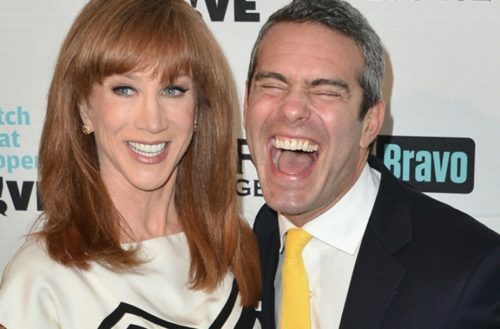 Not only was Griffin besties with his bestie Anderson Cooper, but they worked together at Bravo for years while Griffin was filming comedy specials and My Life on the D-List for the network. If you don’t live in “Musical Diva Land” like we do and don’t understand our reference to Mariah Carey, let us digress. In the early 2000s, Carey was doing an interview with a foreign TV station in which she was asked her opinion about several pop stars. She called Beyoncé “nice” and “a good writer” and then she was asked about Jennifer Lopez. “I don’t know her,” Carey said. And, immediately, a meme was born. Cohen, like all gay men, is a huge fan of this moment, as he’s asked the pop princess about it on his show. Andy Cohen is no Mariah Carey. He should leave the diva behavior to real divas like her and stop being so petty.